With temperatures lingering around only 20 degrees, plungers were anxious to get in, and out of the water. Polar plunger J. Richards says his first time jumping was exhilarating, but intense. 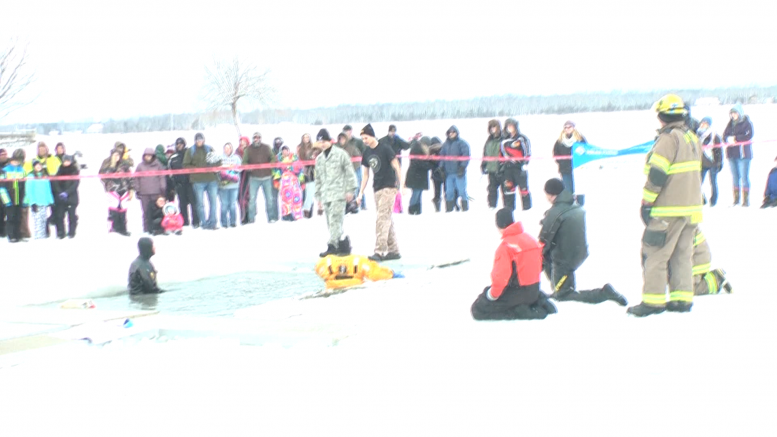 Even with the chilly weather, participants say raising funds for the Special Olympics was a worthy reason to take the freezing jump. Plunger George Snedden says donating and the taking the jump helps give members of the special needs community a chance to feel like champs. “It gives back to special kids and everything like that. Special Olympics [is for] the athletes and the people that have a disability, it helps them be able to feel like they’re a winner. WBKB sports anchor, Larissa Liska, explained why the cause is so important to her.